Hydrangeas are beautiful with their balls of small, colorful flowers. The flowers from hydrangeas are not only gorgeous when they are on the plant outside, but also as bouquets. While hydrangeas are not that hard to upkeep, there are a few specific hydrangea care items you want to make sure to abide by. Hydrangeas were first cultivated in Japan. 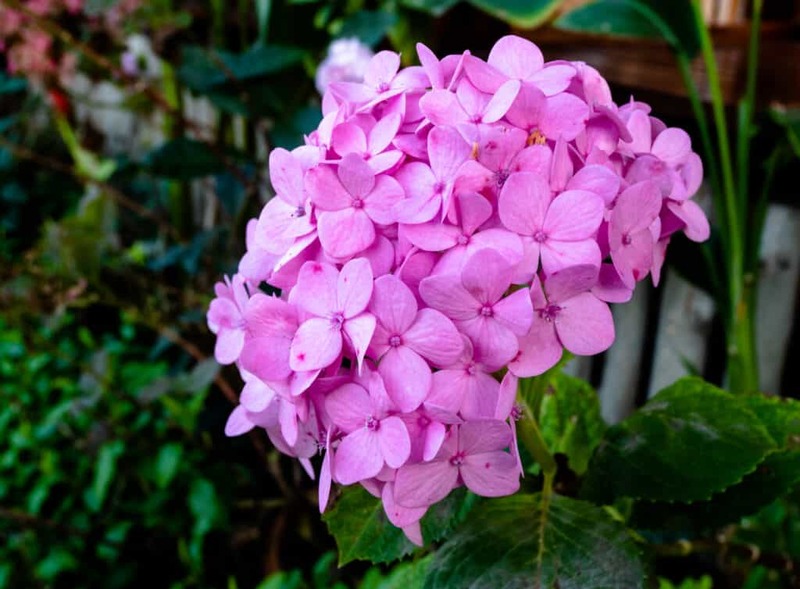 However, there have been ancient fossils of hydrangeas found that date as far back as 40 to 65 million years ago. Hydrangeas appeared in Europe at some point in 1736 when the colonists brought them over from North America to England. Typically used in landscaping, the petals of hydrangeas have low levels of cyanide in them which makes them unfit for human consumption. However, there is an exception in the hydrangea serrata that the Buddhists drink as a sweet tea for a cleansing ritual that they participate in. This tea is believed to aid in fighting and treating autoimmune conditions as well as kidney stones, enlarged prostate, and malaria. Native American’s used hydrangea roots as a diuretic and the bark was used for pain relief of burns and muscle pain. Another historic fun fact is that hydrangeas were often used as a means of telling a suitor that a person was uninterested in their advances. Today, hydrangeas grace gardens as a decorative landscape element. Hydrangeas should be planted in the early spring, or during the fall. 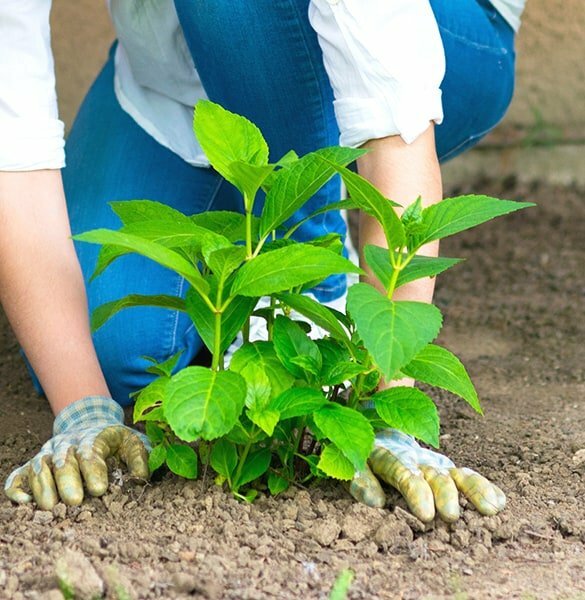 Keep in mind when choosing where to plant your hydrangea that the stems and blooms need to be protected from the winds and the hot afternoon sun at all times. If they’re planted on the east side of a building they must be kept in the shade as the harsh afternoon sun can be very damaging. Always make sure that your hydrangea has good drainage. Soil that is too wet may rot the roots and the plant will subsequently die. It’s important to utilize a lot of organic material and a general all-purpose fertilizer. This will ensure that the hydrangea has an excellent start in life. Hydrangeas prefer shade and can easily be damaged by the harsh rays of the sun. Hydrangeas can do well in the sun as long as they are sheltered from the harsh afternoon rays and kept out of the heat of the day. They prefer lightly moist soil but should never be overwatered as this can cause root rot in the plants. 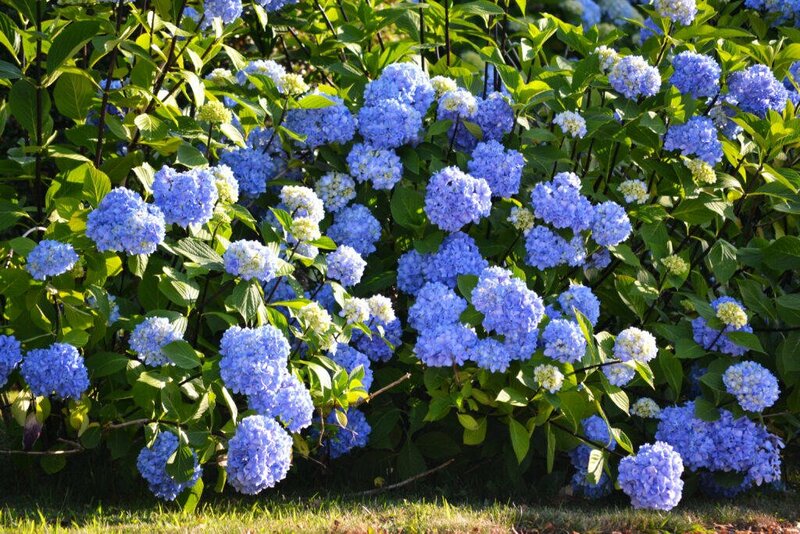 The hydrangea will thrive with a general all-purpose fertilizer that is given sparingly. Never allow the fertilizer to touch the leaves of the plant as this can be damaging to the leaves. The most common form of hydrangeas is the hydrangea bush. Although, you can train the bushes into a tree and some nurseries carry these trees. Hydrangea trees can be anywhere from 3 feet tall for the dwarf varieties up to 20 feet tall for larger varieties. Hydrangeas bloom on the older portions (old wood) of the plant. If your hydrangea isn’t blooming you may have over pruned your plant and removed the older portions of the plant where the blooms form. Avoid pruning during the flowering season and remember you can tie some colored thread or gardening twine on the areas that you wish to prune during the fall. This will keep your plant vigorously growing and blooming at its best. Deadhead the blooms immediately after they’ve bloomed. If you wait too long you may inadvertently deadhead the new blooms and prevent new flowers from forming. Avoid deadheading in the spring when you may accidentally deadhead new blooms as well. Check flowers weekly and deadhead as the blooms fade. This will keep new flowers coming on for quite some time. Hydrangeas are very susceptible to molds and mildews. Avoid getting water on the leaves and keep an eye on how the leaves are developing. You can create a foliage spray with one quart of water and two uncoated aspirin tablets dissolved in that water and spray the foliage to eliminate the molds and mildews as well as fungi that develop on the leaves. Destroy any leaves that are severely damaged to ensure that the fungi doesn’t spread to the remainder of the plant. It’s best to burn these so that the fungi is completely killed off. Pests may include aphids and beetles. You can use a special spray for these, invest in some ladybugs to eat the aphids or pick them off if you must. Hydrangeas are available in pink, blue, and lavender shades. 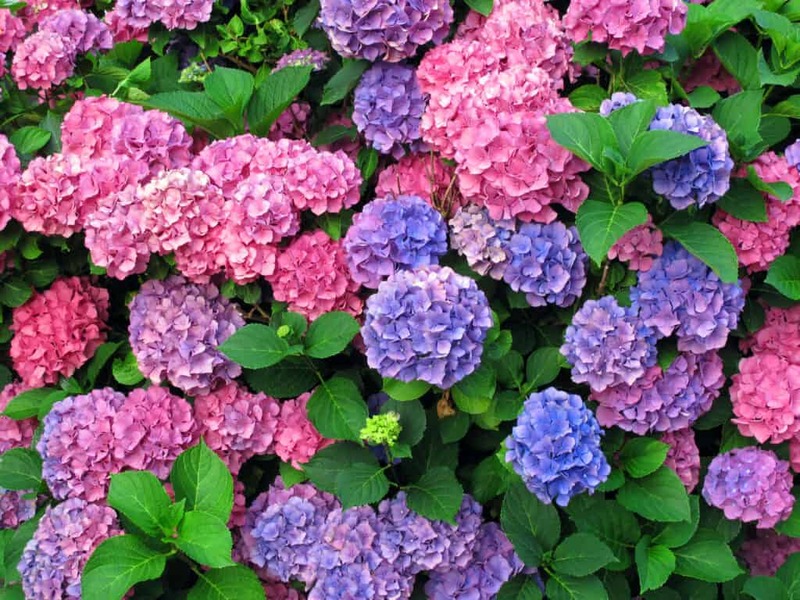 The true color is actually dependent on the soil that the hydrangea is planted in and dependent on the level of pH and the amount of Alkaline in the soil. pH that is 6.0 or higher will most likely give you shades of pink while more acidic soils of pH 4.5 to pH 5.5 will produce blue to lavender shades of flowers. If you have pink flowers and wish to turn them blue, try using some aluminum sulfate to reduce the pH levels in the soil. You can also use lime to raise the pH level if your goal is blue or lavender flowers. Hydrangeas are a lovely addition to any landscape area and work well in shady corners as well as areas that receive filtered sunlight. I wish you luck with your hydrangeas!